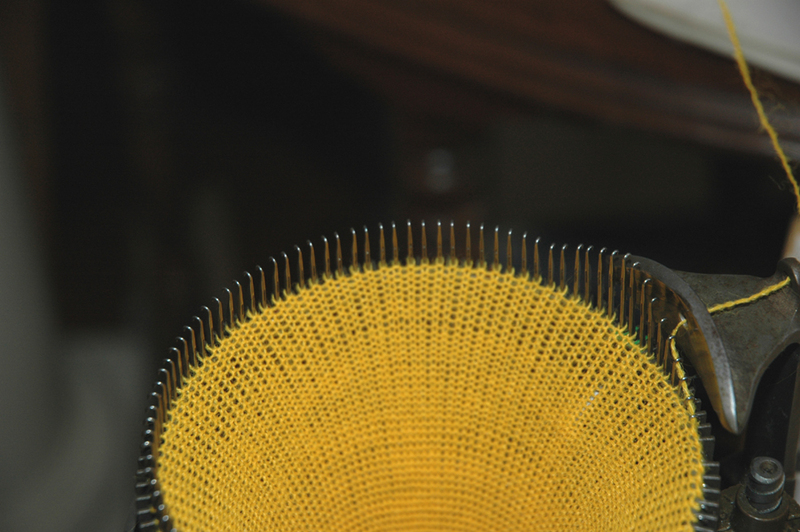 the English Golden Fleece; sold under the Beehive name in Australia in the early 20th century. 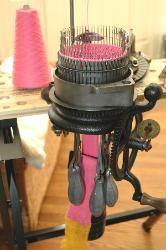 included (see list of accessories on previous page). needles. 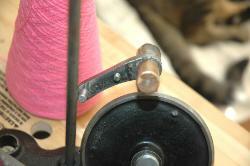 24-gauge ribber needles currently available for Gearhart machines should work. The 60/30 and 80/40 use normal needles, the same as those used on the AKs, Legares, etc. 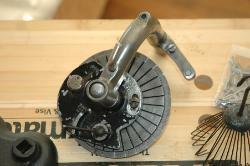 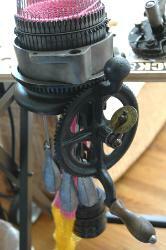 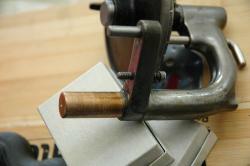 needles, I was afraid that the ribber dial would sit up too high. 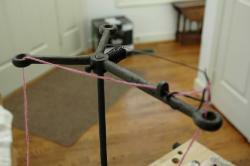 Has a counter. Will come with a copy of the Golden Fleece manual. best machines I have knitted on. 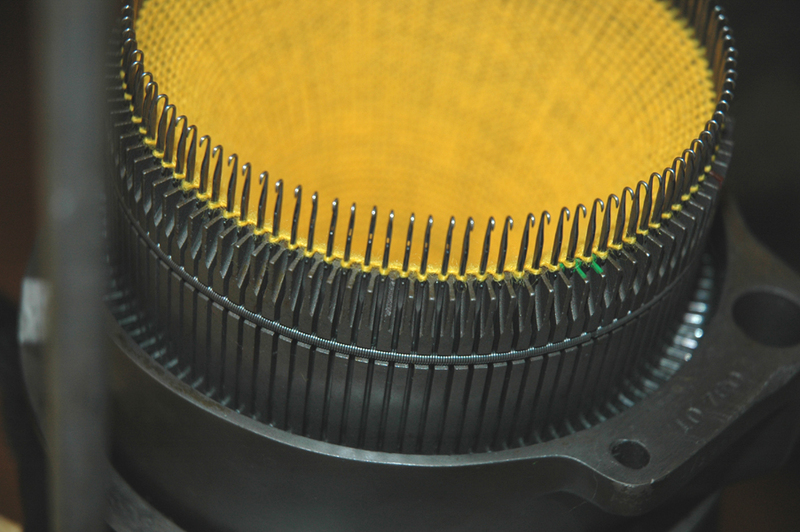 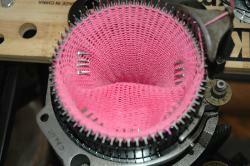 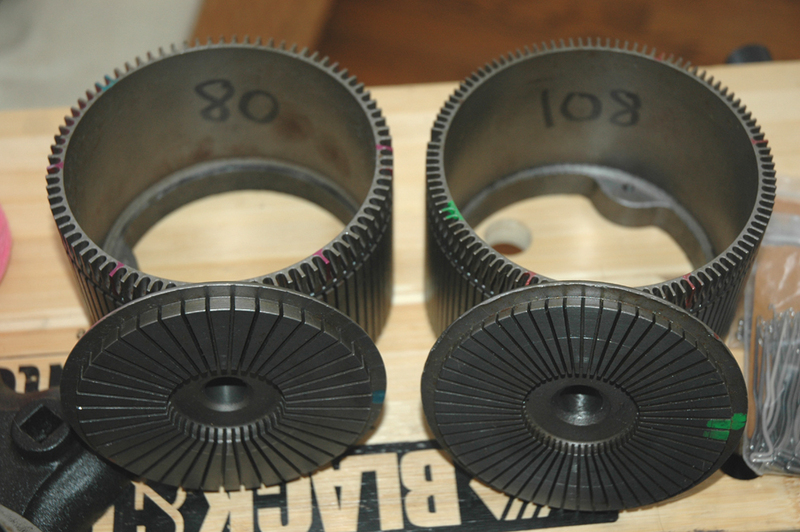 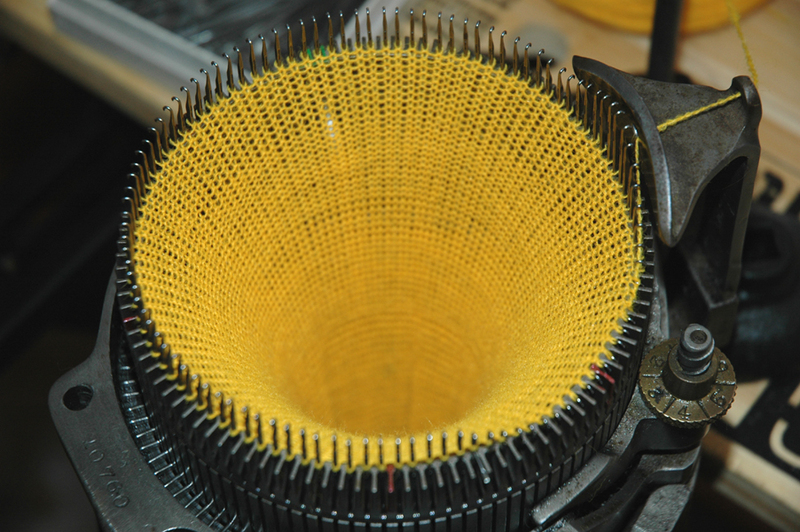 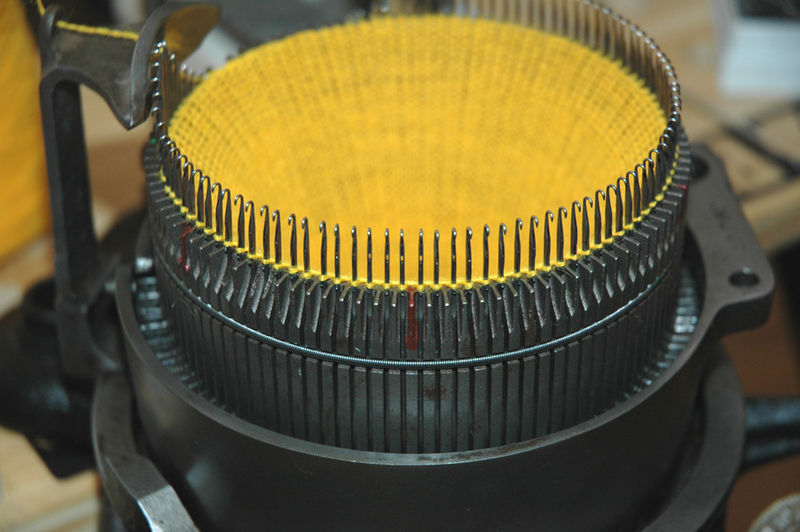 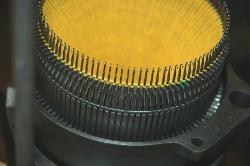 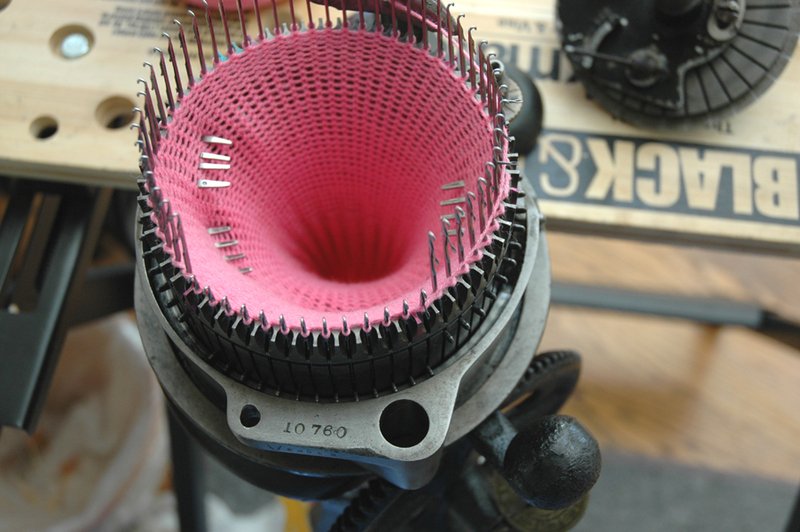 Below are pictures showing the chips at the top of the 108 cylinder slots and the resulting knitting in that area.